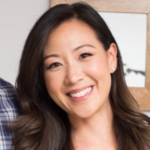 Sarah Kim is Director of Global Marketing at Granicus, the premiere govtech leader focused on empowering modern digital government. In her role, Sarah leads marketing program and campaign management to increase awareness of Granicus solutions in U.S. and U.K. markets. Prior to joining Granicus, Sarah spent a decade working with Fortune 500 SaaS companies, including leadership roles in marketing at D.C.-based MarkLogic, Experian and Red Hat. Sarah is an Ohio native receiving her Bachelor of Arts in Communications from the University of Toledo and certificate in graphic design from Boston University. The increased availability of digital engagement tools provides an exciting opening for the public sector to improve the way it engages people every day. Once a target audience is identified, organizations can craft relevant, engaging content and find the most effective means of delivering it.